Quantity 123456789101112131415161718192021222324252627282930313233343536373839404142434445464748495060708090100125150175200250300350400450500 Available for pre-order. Whether it's TV boxsets, Instagram stories or historical novels, we all consume culture. So it’s important that we are neither bewitched by it—buying into everything it tells us—or bewildered by it—lashing out in judgement or retreating into a Christian bubble. 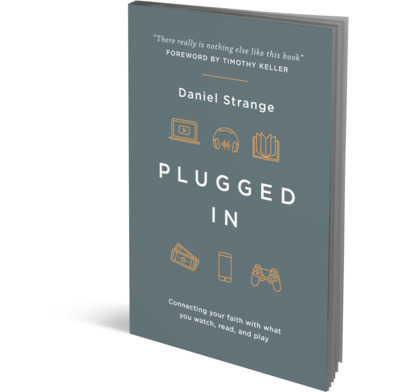 Dan Strange encourages Christians to engage with everything they watch, read and play in a positive and discerning way. He also teaches Christians how to think and speak about culture in a way that plugs in to a bigger and better reality—the story of King Jesus, and his cosmic plan for the world. It’s possible to watch TV and read novels and play video games in a way that actually feeds our faith, rather than withers it. It’s even possible for you—yes, you—to be that person who starts off talking to a mate about last night’s football and ends up talking about Jesus. So be equipped to engage with culture and use it for God. There are now plenty of books calling us to find new ways of connecting our gospel presentation to the needs and questions of people in a secular, pluralistic society. Dan's book actually tells and shows us how to do it. There really is nothing else like it. In this gem of a book seasoned author Daniel Strange manages what few people could do. He pre-digests the unwieldy and complex realm of culture studies and makes it unaffectedly clear. He also helps Christians know how to navigate in a world where culture appears out of control. He connects the decisions we must make to biblical texts, and to robust doctrines all along. Most of all he tells us why we should care about engaging culture and he makes crucial suggestions for how to do that. All of it is in a writing style that is full of imagination, enviably lucid, down-home without being folksy. This will be the go-to text for years, even decades to come. We all spend hours each week watching, reading and listening. Not only does this add up to a significant proportion of our lives, but it’s also a big influence on how we think and behave. So it’s vital we think about how being a Christian shapes the way we interact with the culture around us and I know of no better guide than Plugged In. Dan Strange provides both a biblical framework and practical nuts-and-bolts tools. But Plugged In goes further, for it shows how culture can be a great starting point for speaking of Christ with our friends and colleagues. I warmly commend it. How to connect with culture redemptively can be a formidable challenge. Strange dismantles this challenging wall giving the reader tools to connect with the world we live in with the Gospel. Strange is a scholar who can write at a high academic level, but here he writes for the Christian in the secular workplace as well as the mum who set up play dates with her kids, who are trying to navigate the cultural terrain. Strange teaches us how we should engage culture and gives a framework for appreciating sun rays of grace as well as understanding the shadows of idolatry. He takes the reader to a place where they don’t just accept culture, nor merely reflect culture, rather the reader learns to engage it. I love the fact that this is more of a “how to” guide. Strange gives several examples of cultural engagement, and helps the reader to read culture and to apply Gospel.